People usually do not go to Paris to see four-dimensional cubes. Couples go there for romance. Art buffs go to the Louvre and the Gare d’Orsay. Marlon Brando went there for his last tango. 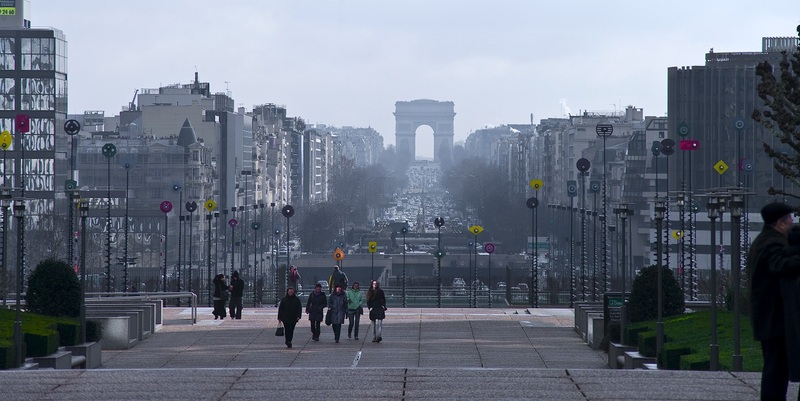 Some tourists go there to meet the Parisians who are legendary for their hospitality. I lived in Paris in the mid-nineties to do cool stuff in computer graphics. On one of my trips back I had an epiphany. 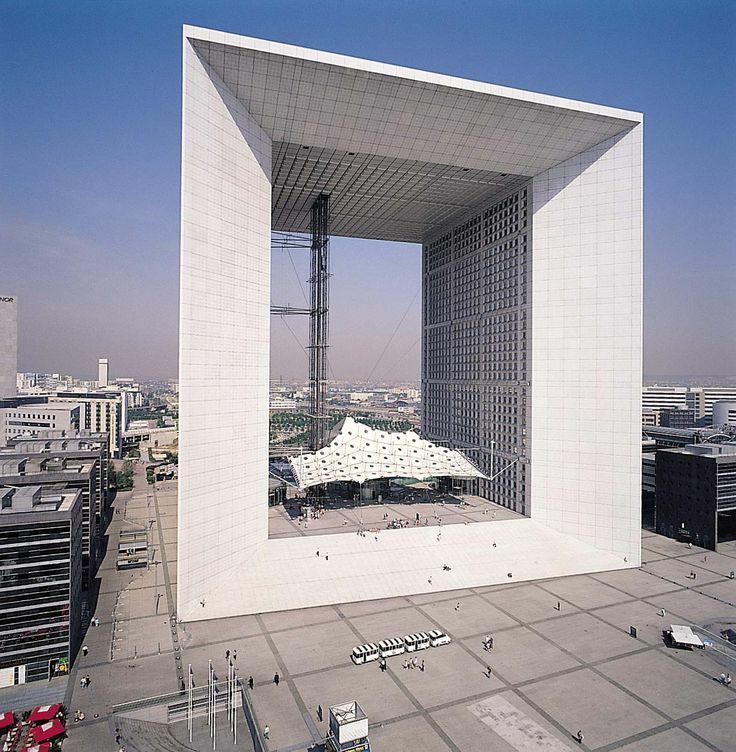 La Grande Arche is a four-dimensional cube! It is beautiful not ugly. This monstrosity cannot be in Paris! By the way this is Paris France not Paris Texas. 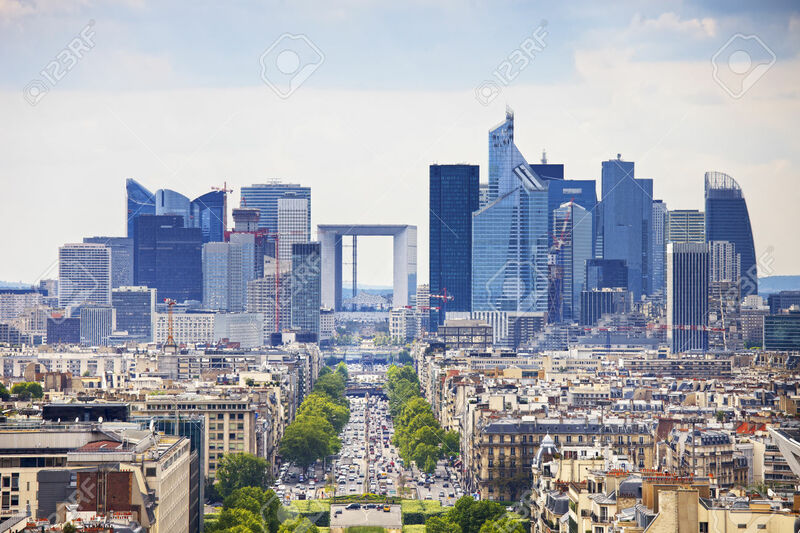 The Arche is located just on the outskirts of Paris in the business district called La Défence. From this four-dimensional cube you can see the Arc de Triomphe, which is better known to tourists. Conversely this is how the Arche looks like from the point of view of the Arc. You got to love Paris. It is the opposite of any North American City where business districts are located right in the center. In Paris they put the business outside of the city core. In France it is rude to ask what your job is but it is considered polite to mention your favorite wine or restaurant. I will give out a little dirty secret though. Fast food joints are very popular in France. I grew up in French culture and lived in Paris. When it comes to food you have to set apart at least an hour because of all the rituals which take forever. What if I just want to eat and get back to coding and have my café au lait to go? There is a time for dining and there is a time for coding. There you have it. Two three dimensional cubes are connected to form a four dimensional cube. We can all visualize this despite the fact that I am just showing a flat image. We can generalize this to create hypercubes as follows. A 1-cube is obtained by connecting two 0-cubes, a 2-cube is obtained by connecting two 1-cubes, etc. Anyway you get the point. The number of points increases exponentially. 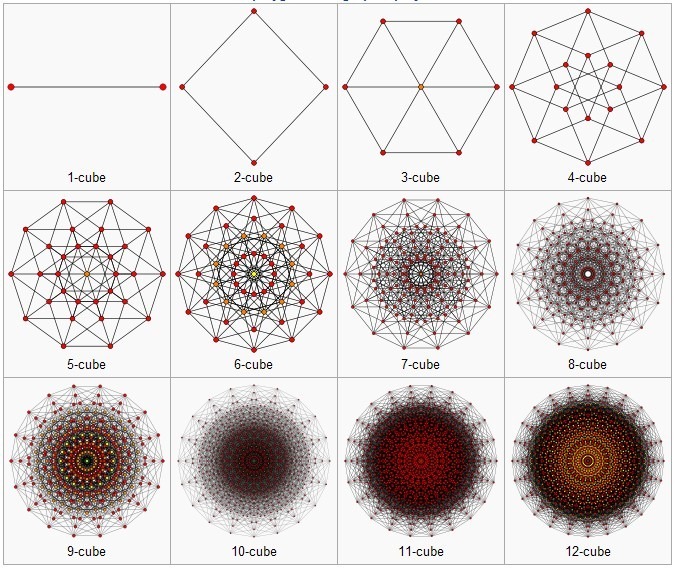 All these hypercubes are projected symmetrically into a plane. Now I want to talk about another beast called Sharir’s cube. 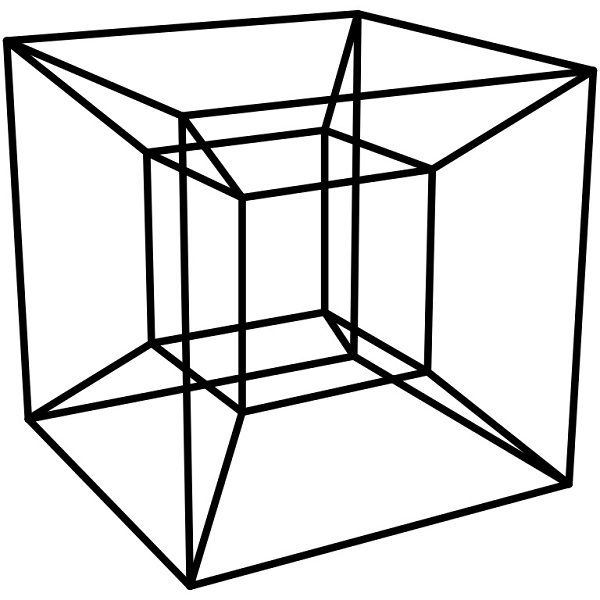 A standard three dimensional cube has the property that opposite sides are parallel to each other when living in three dimensions. Micha Sharir at a conference in Monte Carlo asked his audience whether it was possible to transform a cube into a cube-beast whose opposite sides are perpendicular instead of parrallel. Guenther Ziegler solved the problem using some software and provided an exact description of said cube. I was able to visualize it in our Autodesk MAYA software and was able to 3D print it and it is now in my cabinet of mathematical curiosities next to the Gömböc. Here is Sharir’s cube in its full glory next to its cousin the standard cube. Opposite sides are colored appropriately. And here is a description of the beast-cube in OBJ format. Try this at home using your favorite software. The ugly became beautiful through mathematics.